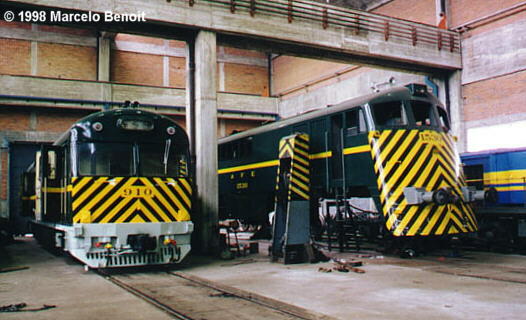 Uruguay had a colorful small ALCo-powered fleet of ALCos, and GE/ALCos until the 80s, today 9 GE/ALCo Shovelnoses (!) still remain rostered. Thanks to Marcelo Benoit for sharing his knowledge. There are still 9 Shovelnoses in service, 1505,1506,1515,1519,1525,1530,1539,1545,1547. 1525,1530 and 1539 are under general repair in Penarol works and should be back in service very soon. 1506 Was working the 25 de Agosto services while we were there the other loco hauled turn was an Alsthom. 1506 is in very poor condition, it ticks over very roughly and is fairly low in power. 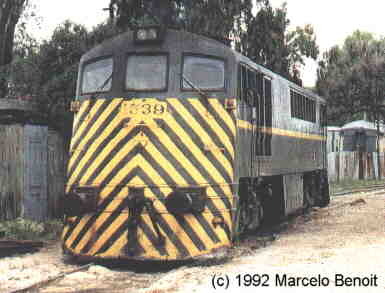 ex U.S. Army # 2099, now AFE # 1612 on the turntable of the Penarol shops. Jan 24th, 1992. 601, 602 ALCo RSD-1 539 70654 (601) Dec. 1942 (601) ex U.S. Army 8033, ++ 1988. 602 spare parts source for 601, ++ 1987. 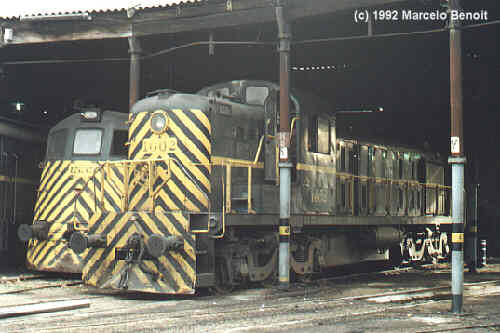 Shovelnose # 1539 sitting outside Peñarol workshops, Nov. 23rd 1994. Active ones: 1505, 1506, 1515, 1519, 1525, 1530, 1539, 1544, 1545, 1547. 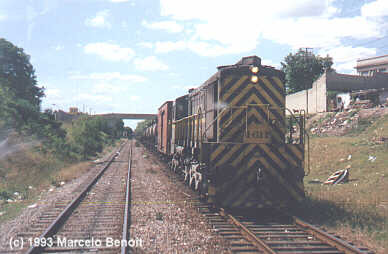 1545 with a train from Treinta y Tres to L. Carnelli Station at km 9 (near Peñarol). April 25th, 1992. 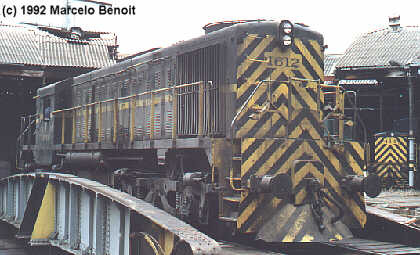 Peñarol roundhouse scene, May 16th 1992. 1602 and 1533 to be seen. History by plates! ALCo RSC-3 #1602. MRS-1 #1611 meets a Brill car #127, last day of 1993. Shortly after the 1611 suffered fire dame. Seen from the cab of the Brill car! 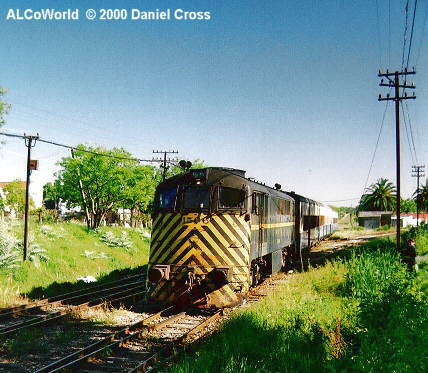 AFE 1530 next to 910 inside the Peñarol shops, July 6th, 1998. 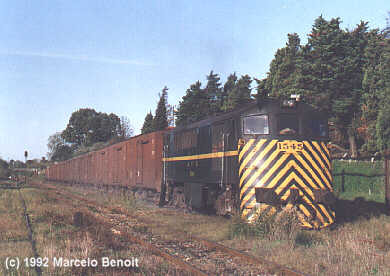 GE/ALCo Shovel Nose 1506 arrives at Sayago with the last of the four daily commuter trains from 25 de Agosto to Montevideo. November 17th, 2000.